So it's been awhile since my last recent loves post and I realized that I don't talk about hair products that much so I wanted to share a few that I have been using and really liking lately. My hairstyle has been some form of a bob or a-line bob for a number of years now. It suits me and my preference for low maintenance hair. I used to think that shampoo was evil and I even stopped using them for awhile opting for co-washing instead. And as much as that made my hair feel great, sometimes it would leave my scalp a little greasy. I still co-wash but I try to balance it out with shampoos that gently remove styling product buildup and oil. This vitamin b5 enhanced shampoo with natural green clay is great since it is specifically formulated for oily roots and dry ends. And it works effectively to deep clean my scalp while nourishing my hair at the same time. I've never used anything quite like it. I haven't had any scalp issues since incorporating it into my hair care routine once every other week. Dessange Paris also has an accompanying Purifying Clay Balancing Pre-Shampoo Mask that takes the scalp treatment to another level. I've used it a few times and it's quite invigorating but I really have no patience for it. I've always given this to my husband to use and he really likes it too. An 8.5 oz bottle of this shampoo is $9.99. I first tried this product as a sample. I was a little skeptical that it could deliver on it's claims to provides moisture, shine, smoothness, softness, anti-breakage, heat protection, light hold, UV protection, manageability, and strength. I've found that it really does a good job of protecting my hair when I style it while leaving it soft, shiny and manageable. And it does this without weighing it down or making it feel greasy. It's also effective at taming frizz but I still need something for flyaways. This hair cream is free of parabens, sulfates and phthalates. My only complaint would be that it's a little expensive at $39 for a 5.1 oz tube or $25 for a 2.5 oz. but seeing I had used an oil plus a styling cream previously and this product has replaced them both, it has worked out from a cost perspective. This styling product got a lot of hype when it was first released a few years ago and I only got around to picking it up last month. I asked my stylist to make my bob choppier the last few times I had my hair cut and this lends well to more of a messier style which this product totally plays up. I use it after drying my hair. It feels like a cross between a gel and an cream and a little goes a long way. It adds incredible texture, body and pieceyness, not to mention some serious volume. It really is perfect for creating an undone look and the hold is soft yet lasting. Oh it also takes care of flyaways. I think it makes my hair look even better after sleeping on it. My husband also uses this product. It works just as well for him and he goes more for a clumpy and tousled look. It dries a matte sheen and I like that it doesn't feel like it builds up in my hair like some other styling products. I wish I had tried this one sooner but I'm glad it's in my life now. I got the 2 oz. size for $14 since I wasn't sure if I would like it but it also comes in a 5 oz. size for $30. What are some of your favorite hair products? Thanks for sharing...these products seem lovely. I'm pretty boring when it comes to hair routine, at the moment I'm only using shampoo. 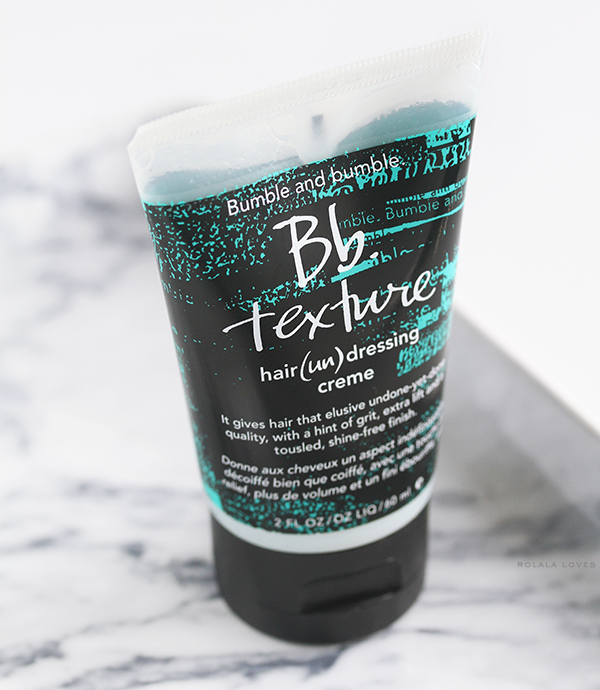 I really want to try some new hair products...also heard quite a bit about bumble and bumble...so interesting to read this. I would like to try these products on My hair!!! I haven't tried any of the ones you mentioned, but I have a big lineup of products still waiting to be tested. Co-washing is something I have heard about, but never tried. It kind of scares me to not use a shampoo. I want to try the BB hair cream nice products have a lovely weekend. So cool that you get to share hair products with your husband. I have never tried the clay shampoo. The dressing creme sounds intriguing; out of these it's the product that would interest me most. 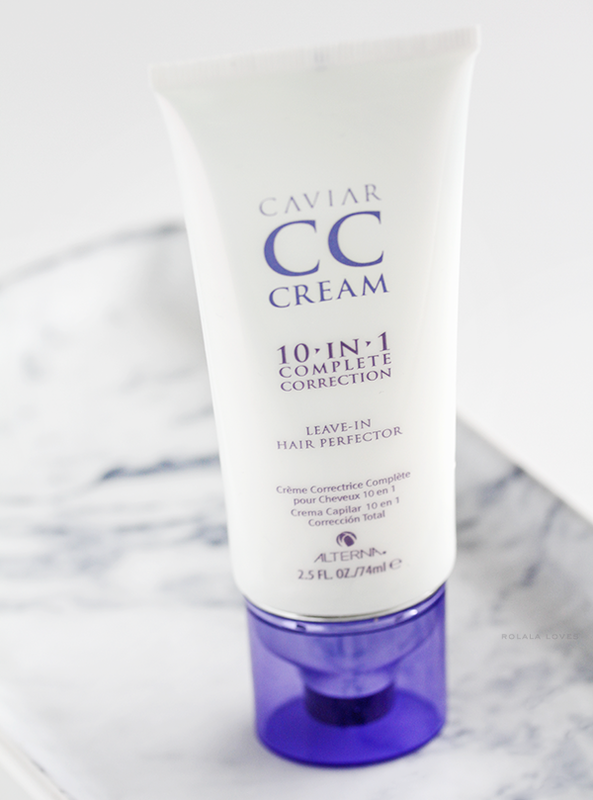 Wowza, a caviar CC cream for the hair, how intriguing! Never seen a product like that before. I have been using a natural spray for my scalp which I put on at night because it does leave my scalp super greasy because it's made of essential oils and I've also been taking Biotin supplements. It's only been a month with the supplements and the oil I haven't been consistent with -- I am not sure if I am seeing full effects yet but I have gotten hair compliments on two random occasions and my hair does kinda feel softer. Will probably have to give a couple more months though to see full effects! i hauled the cc cream a few months ago, and am IN LOVE. it is so good. I'm only familiar with Alterna but not the other two. 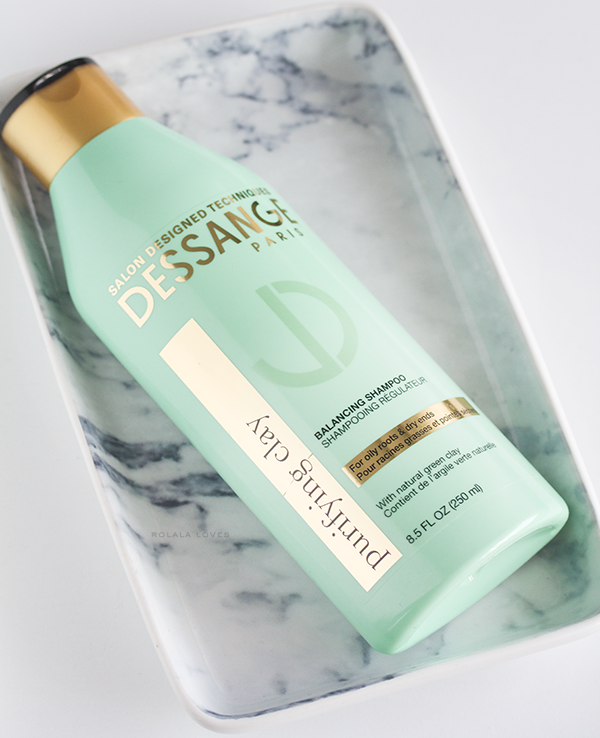 Dessange Paris sounds intriguing and I'm curious to try it myself, is it available in drugstores? I'm going out later so I'll have a look if I can find it. I have so many issues with my hair I do not know where to begin. But I am in the market for a new clarifying shampoo I am going to check this out for sure it is certainly affordable. Great review! The Bumble and bumble creme sounds amazing...definitely want to try that! Thanks for sharing! The third product causes me curious, I do not think they sell in my city but I like the comments you make about it. 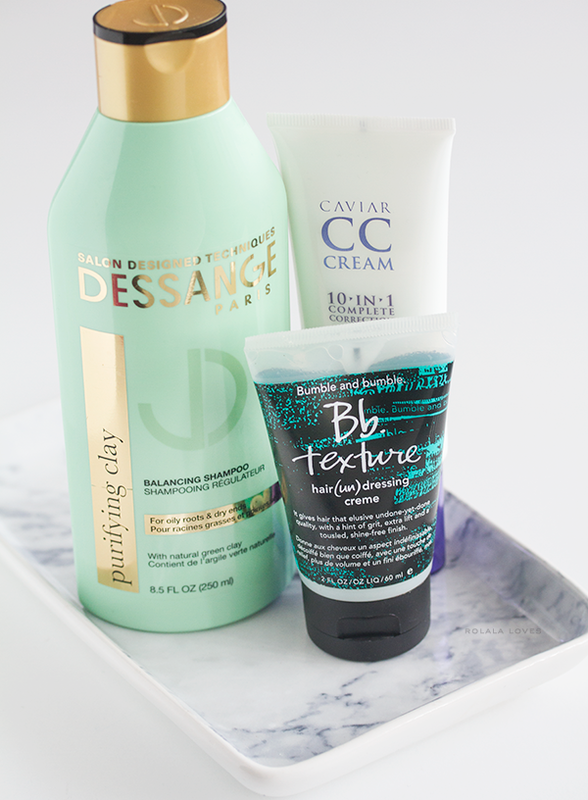 Purifying clay and CC cream for hair? For real, Rowena?? This is my first time hearing CC cream for hair! Wow... and the multiple functions that it can do to the hair are impressive!! Sounds like your hair is going to love you from now onwards. Have a lovely week ahead as we are gearing towards the christmas and the new year!! I am excited already. btw I don't think that shampoos are evil, but I think it is great you're pairing them with cowashing. I do believe that using shampoo too often is not good for our hair. I've heard of the bumble and bumble one but never tried it. I'm pretty low maintenance when it comes to hair. I've been using my kids' shampoo when I ran out of mine months ago, lol! I might give the bumble and bumble one a try though because anything that adds a bit of volume to my hair is a good thing :) Merry Christmas, Rowena! I've been hearing really good things about Alterna products. I want to try them, but my hair is at a critical stage right now. LOL That shampoo sounds fabulous Rowena. I'm currently trying Philip B White Truffle on my hair.